Filling a huge gap in our spiritual culture, here--at last--is a comprehensive and elegant translation of the 1854 French masterwork of occult philosophy. The Doctrine and Ritual of High Magic reignited the esoteric spiritual search in the West and led to the emergence of Madame Blavatsky, Manly P. Hall, and the New Age revolution. 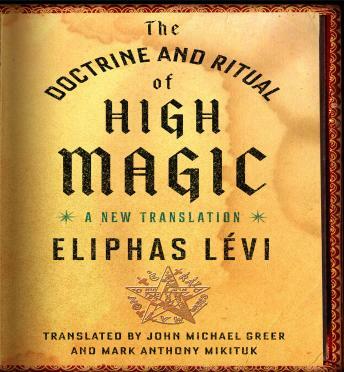 Levi's study of magic is an absolute must for every seeker in occult, esoteric, and druidic realms; but this need has been frustrated by dated and inaccurate translations--until now. Greer, a respected occult scholar, and Mikituk, a masterful translator, collaborate to restore this landmark work--complete with its original illustrations and symbols--to the center of the alternative spiritual canon.